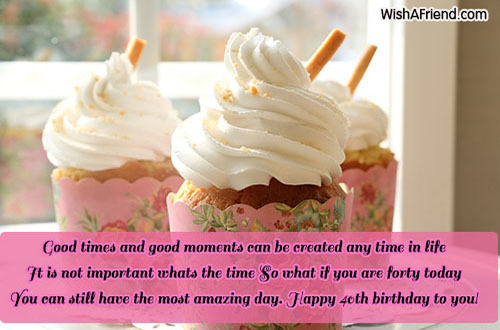 Want to make someone's 40th birthday special by wishing them in a creative way? 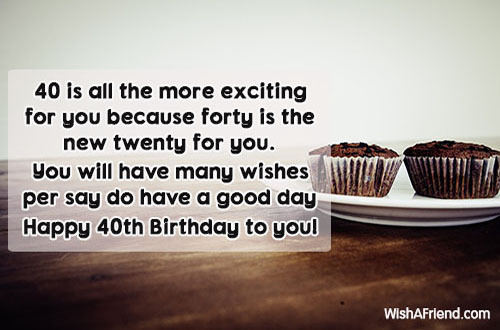 Find interesting 40th birthday wishes right here. 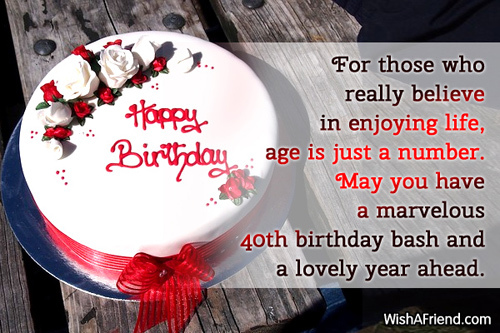 Share these 40th birthday wishes with your friends via Text/SMS, email, Facebook, Whatsapp, IM, etc. 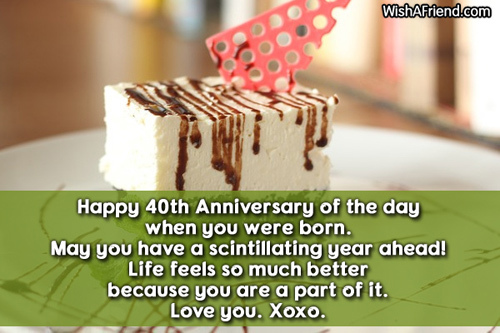 Happy 40th birthday to you! Congrats! 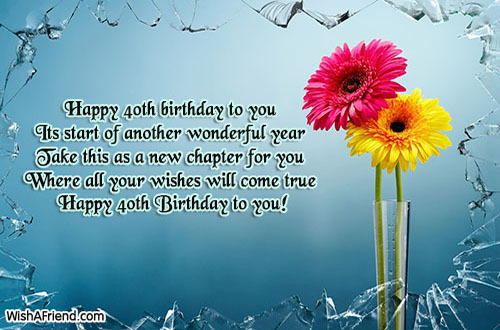 You are 40 now and are doing so well. I'm so proud of the person you have become. 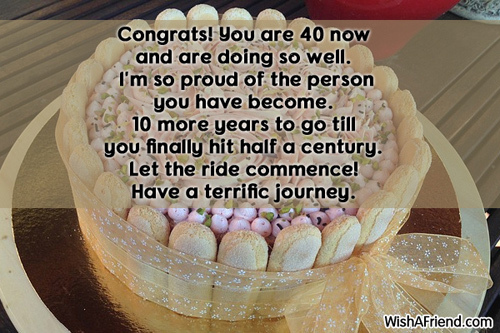 10 more years to go till you finally hit half a century. Let the ride commence! Have a terrific journey. 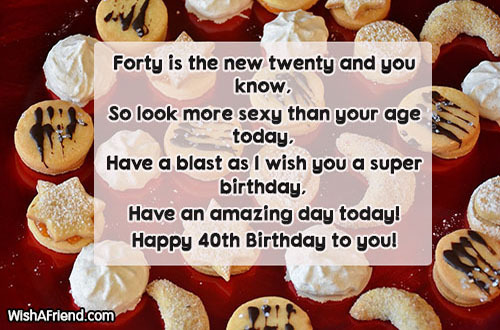 Do you know what the best way to beat 40 is? Hang around people who are fatter, lousier and older looking than you! Haha. 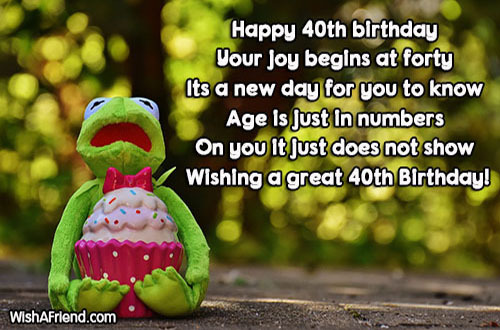 Wishing you a Happy 40th Birthday. For those who really believe in enjoying life, age is just a number. 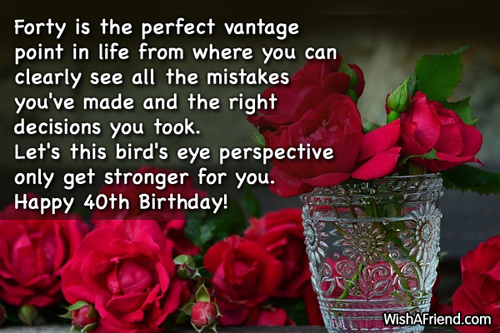 May you have a marvelous 40th birthday bash and a lovely year ahead. Have an amazing day today! 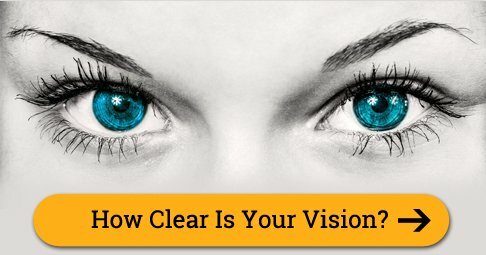 Forty is the perfect vantage point in life from where you can clearly see all the mistakes you've made and the right decisions you took. Let's this bird's eye perspective only get stronger for you. Happy 40th Birthday! 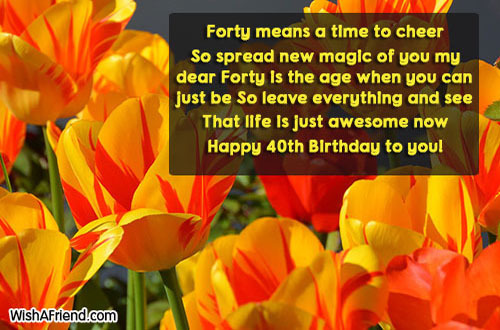 Forty is when life just begins to grow younger because you have all the maturity possible and all the childishness that you need to start afresh. Enjoy this lovely phase of life. 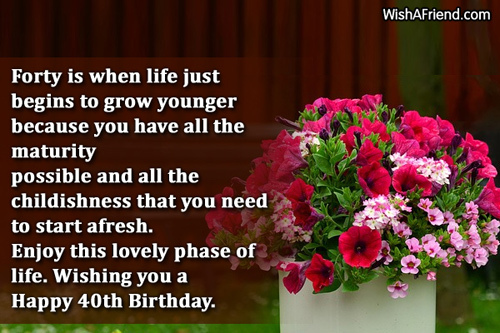 Wishing you a Happy 40th Birthday. Happy 40th Anniversary of the day when you were born. May you have a scintillating year ahead! 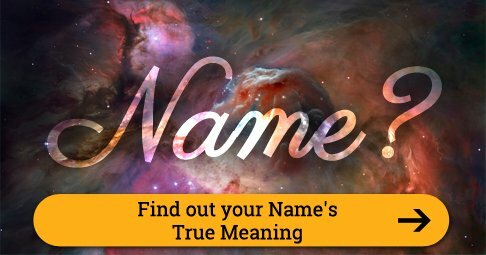 Life feels so much better because you are a part of it. Love you. Xoxo. 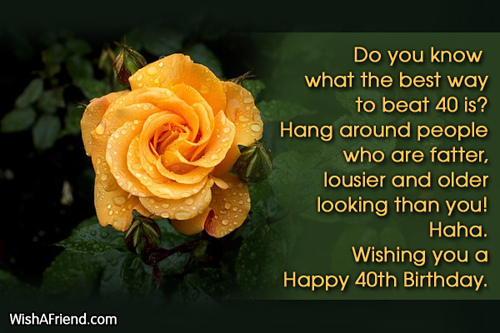 Wishing a great 40th birthday! 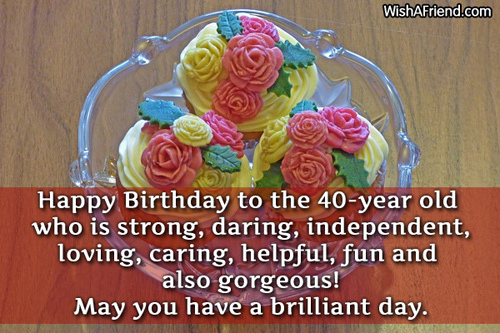 Happy Birthday to the 40-year old who is strong, daring, independent, loving, caring, helpful, fun and also gorgeous! May you have a brilliant day. Hey congrats on the 24th anniversary of your 16th birthday. 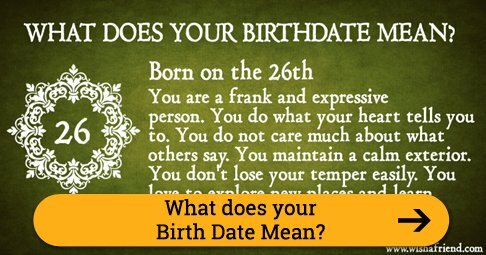 Let's make it wackier than last year, what say? 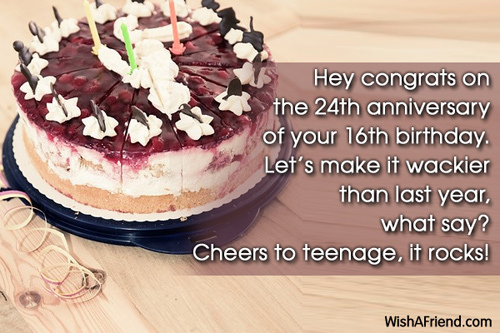 Cheers to teenage, it rocks! 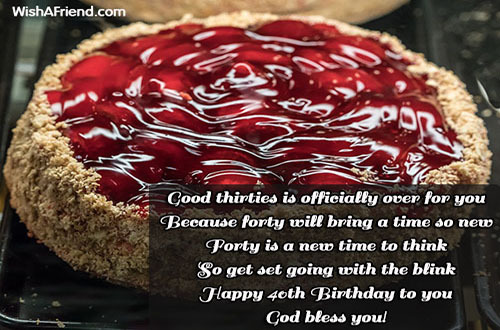 How does it feel to turn one year closer to 50? Excited? Nervous? Overwhelmed? Happy? 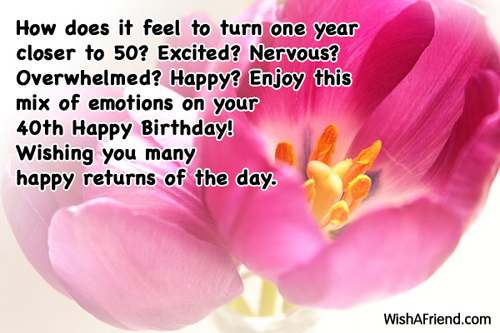 Enjoy this mix of emotions on your 40th Happy Birthday! 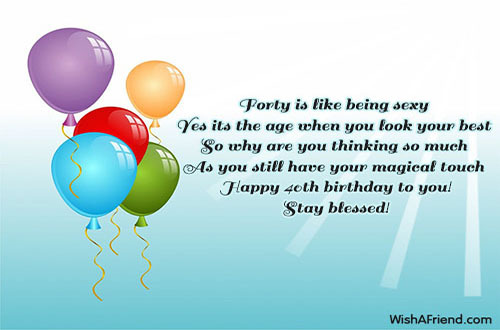 Wishing you many happy returns of the day.